© 1978 A&M Records, Inc. All Rights Reserved. 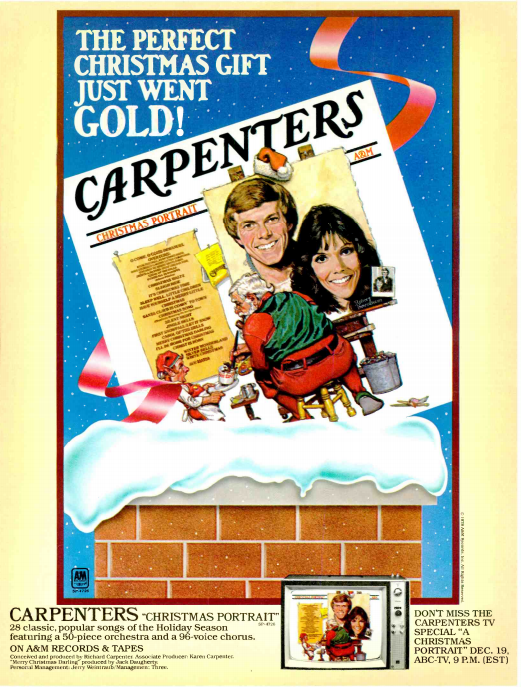 Carpenters’ entry into the Christmas records market was a big one. Released a year after PASSAGE, CHRISTMAS PORTRAIT was an immediate seasonal favorite, that only built its reputation over time. Every year, the album would appear in the Christmas racks, and every year it seems to grow in stature. The reason has to be Karen’s enthusiasm. She thoroughly enjoyed Christmas music and really put her heart and soul into the efforts on this album, and it shows. 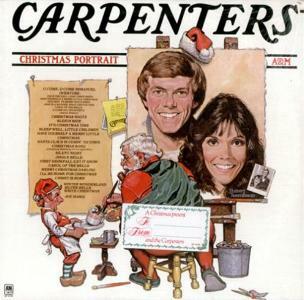 When it came time to release the album on CD, Richard and A&M elected to beef it up as an extended “SPECIAL EDITION” by combining elements of AN OLD FASHIONED CHRISTMAS, resulting in a hybrid of the two. PolyGram in West Germany however mysteriously released the original CHRISTMAS PORTRAIT on CD for a time, making those now highly sought after. Meanwhile, a decade went by before A&M released a remixed version of the original album, but to date never the original mix.